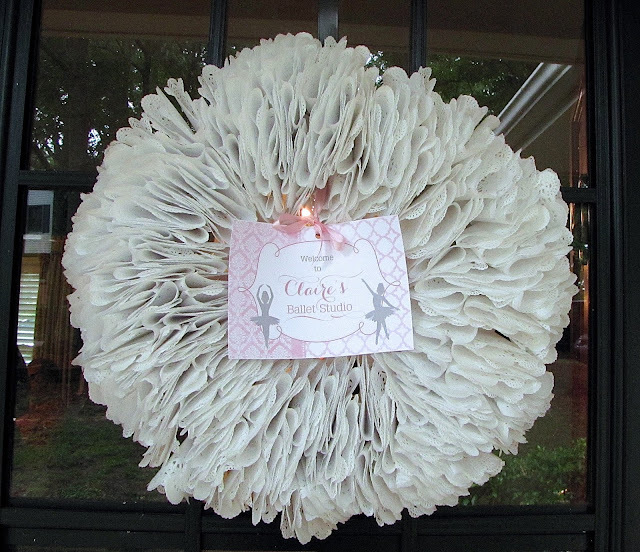 Today I'm sharing with you the tutorial for the doily wreath I used for Claire's ballerina birthday party. 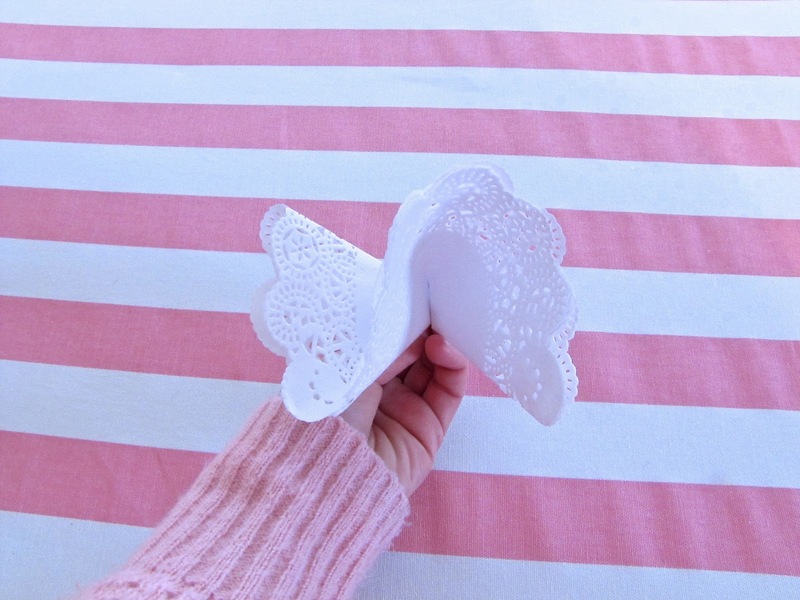 I actually made this last year for Valentine's Day but never got around to posting the tutorial for it. It turned out to be the perfect piece to welcome guests to her party. 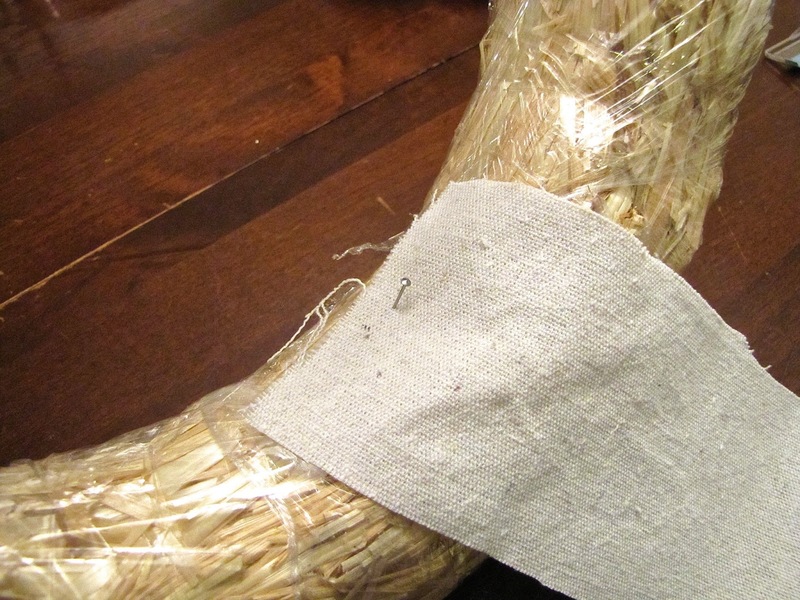 First, I started by cutting the fabric out into 3" strips. (Sorry no pictures of that part.) I just made them as long as I could, cutting along the longest part of the fabric. 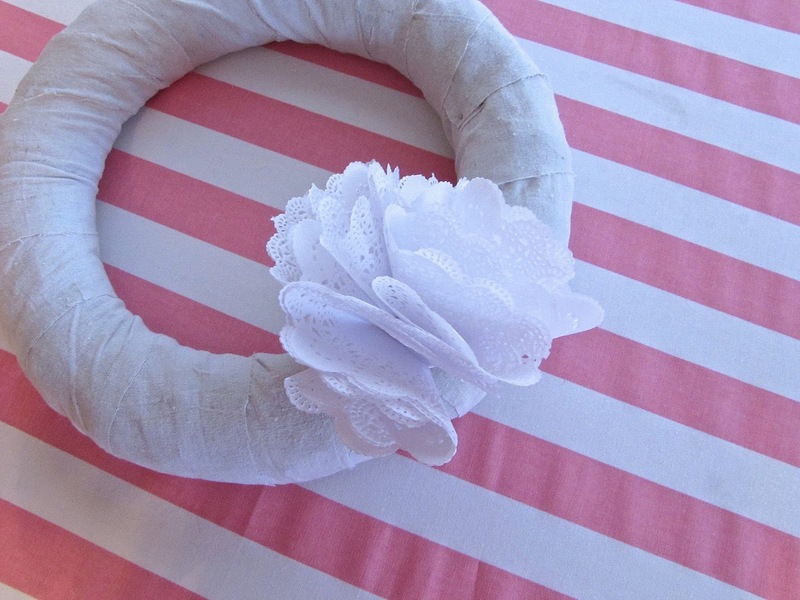 Once they were cut out I pinned one end of the fabric strip onto the wreath. 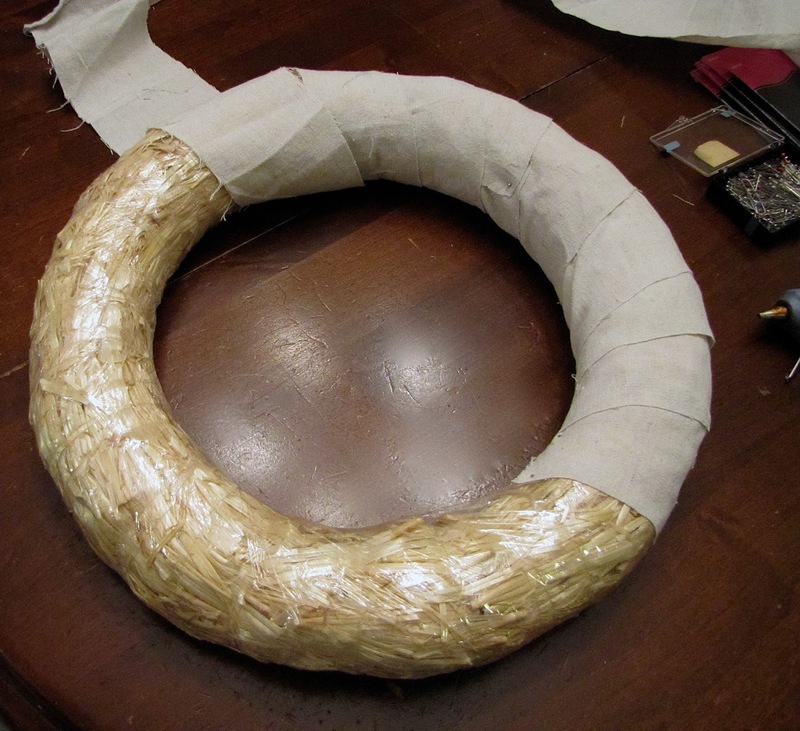 Once the end was secure I started wrapping the fabric around the wreath pulling tight to avoid wrinkles. When you get to the end of the first strip, pin it in place again at the end and start the next strip the same way. 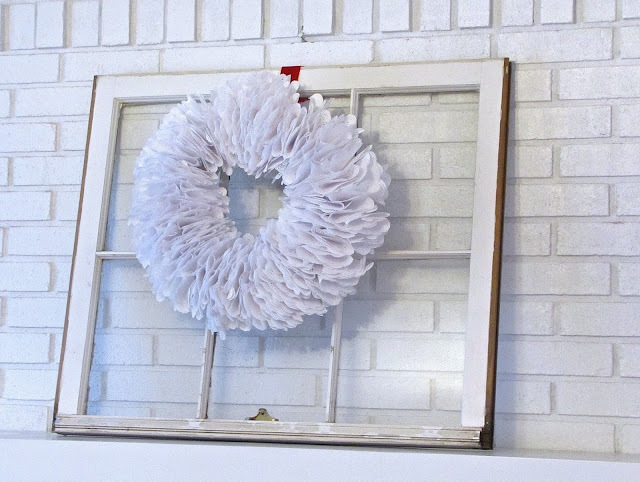 Keep wrapping the wreath until it is completely covered. Now for the folding of the doilies. 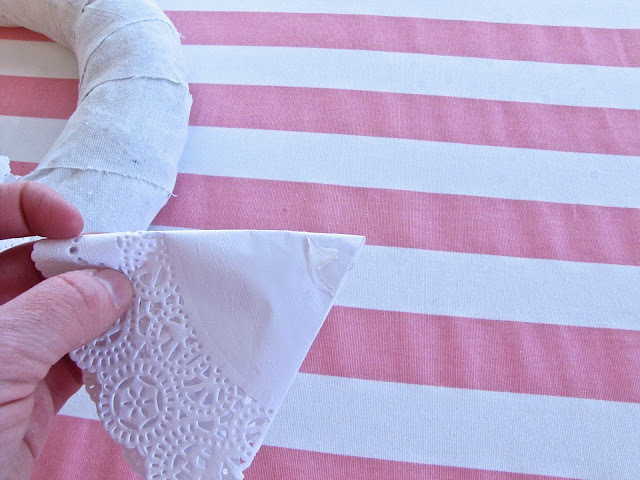 Start by folding one in half. Then you are going to bring each end to the middle only in the opposite directions. So it looks like the photo below. 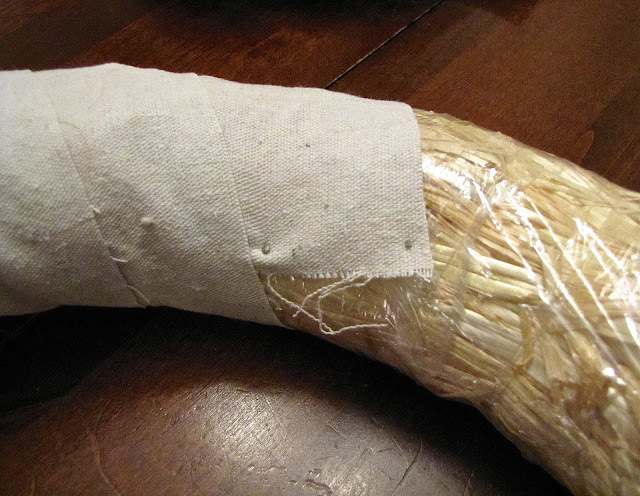 Add a little glue to the bottom to help hold it in place. 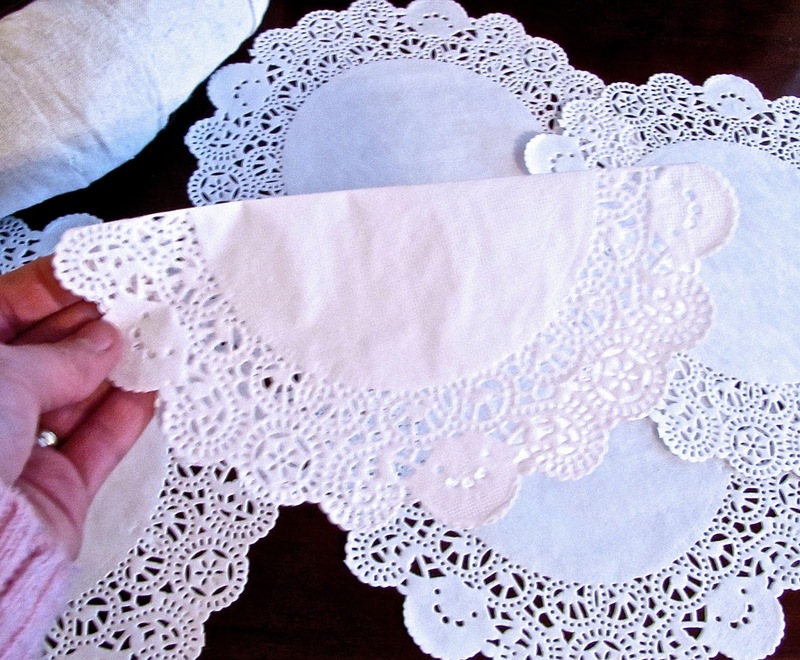 I folded all my doilies first before moving onto the next step. 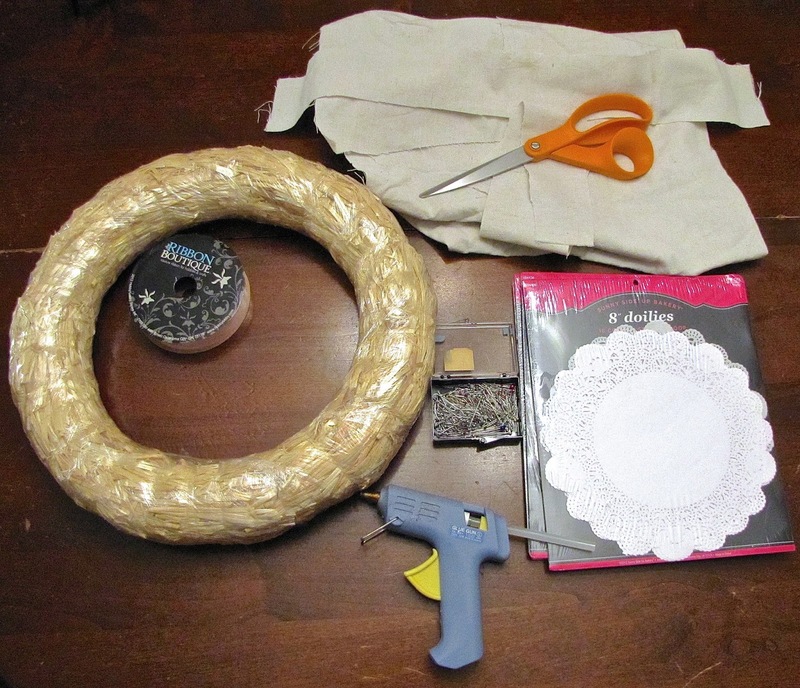 Add a little glue to the bottom of each doily and push them down onto the wreath. Add them one by one until you get the look you want and the wreath is full. I used a few of the straight pins to attach a piece of ribbon onto the back to hang it with. So easy! Don't forget Saturday is the last day to enter the giveaway for a $25 gift card to L. Olson Designs! If you need some party printables, invitations, or adorable wall decor this is your chance to get some for free! If you haven't done so already you can enter here.